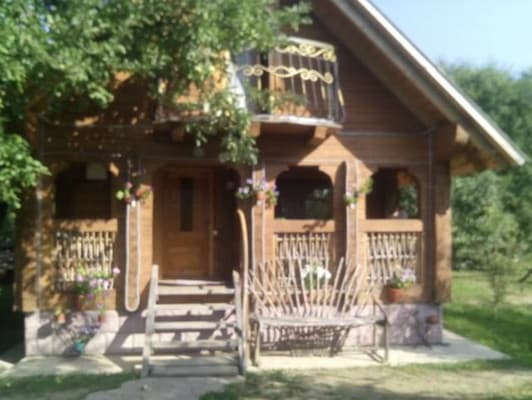 The private estate "Cossack Deca" is located in the center of Zhdenievo village, 950 meters from the ski lift. 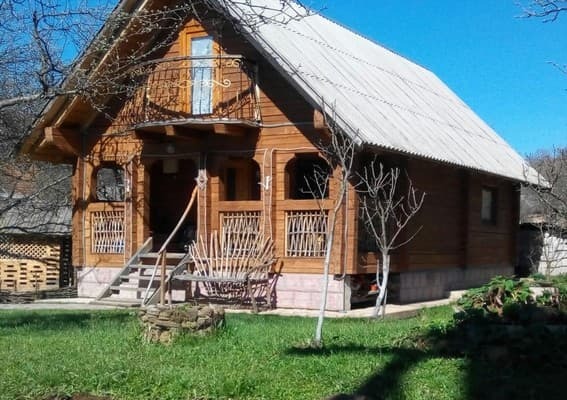 The farmstead "Cossack Deca" is a two-storey wooden cottage for 3 living rooms, which can accommodate 8 guests at the same time. On the 1st floor of the guest house there is a kitchen for self-cooking, a veranda and a bathroom, on the second floor there are living rooms. Rooms are cleaned on request. Guests at the Cossack Deca manor have free Wi-Fi and cable TV. The disposal of the guests using a washing machine. In the courtyard there is a brazier, a parking place for a car. Near the forest and river. 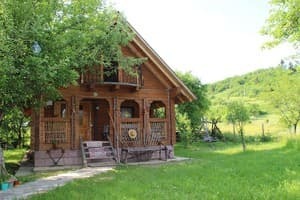 The owner of the farmstead can arrange excursions to Transcarpathia for a fee and meet with the railway stations. The distance to the nearest station of the Volovets railway station is 24 km, to Uzhhorod - 100 km. 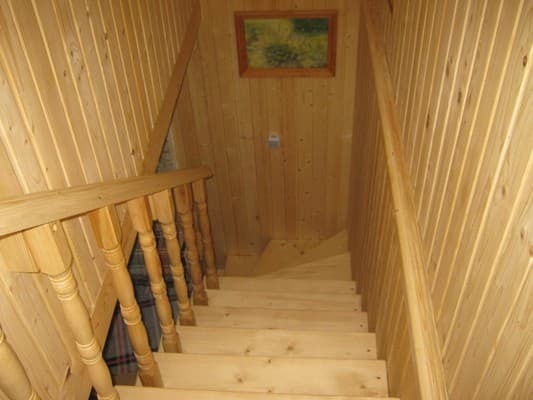 Description of the room: The two-storey wooden cottage is equipped with three living rooms. In two rooms there is a double accommodation, in the third room there are 4 beds. For the convenience of guests, the kitchen is designed for self-cooking. The cost of extra space depends on the season, specify at the time of booking. 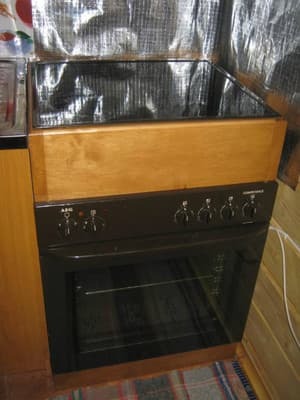 On the first floor of the estate there is a kitchen for self-cooking. 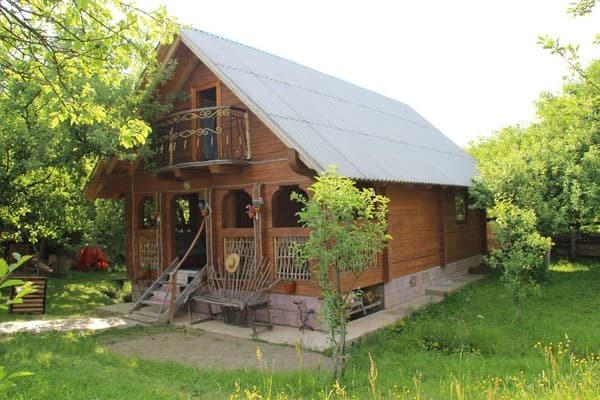 The private estate "Cossack Deca" is located in the center of Zhdenievo village, 950 meters from the ski lift. The distance to the nearest station of the Volovets railway station is 24 km, to Uzhhorod - 100 km. Trains Uzhgorod direction - to the station. Volovets, then by bus to Zhdenievo. By car: on the highway Kiev-Lviv-Chop (E-50 / M-06), for p. Turn the Lower Gates to Zhdenievo.